Listen to "The Fight" on your iOS and Android device. In 1974 in Kinshasa, Zaïre, two African American boxers were paid five million dollars apiece to fight each other. One was Muhammad Ali, the aging but irrepressible "professor of boxing." The other was George Foreman, who was as taciturn as Ali was voluble. Observing them was Norman Mailer, a commentator of unparalleled energy, acumen, and audacity. 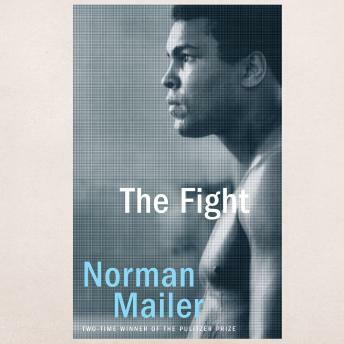 Whether he is analyzing the fighters' moves, interpreting their characters, or weighing their competing claims on the African and American souls, Mailer's grasp of the titanic battle's feints and stratagems-and his sensitivity to their deeper symbolism-makes this book a masterpiece of the literature of sport.